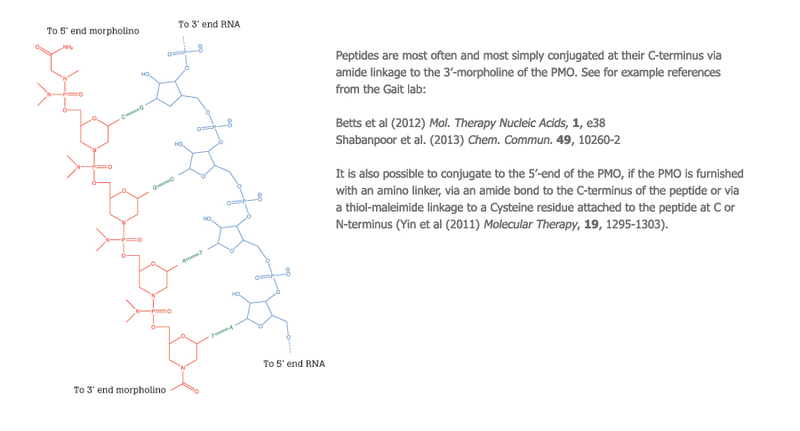 Cambridge Research Biochemicals is proud to announce the new addition of a custom synthesis service for conjugates of synthetic peptides and oligonucleotides such as Peptide-PMO and Peptide-PNA conjugates for cell screening and in vivo studies. 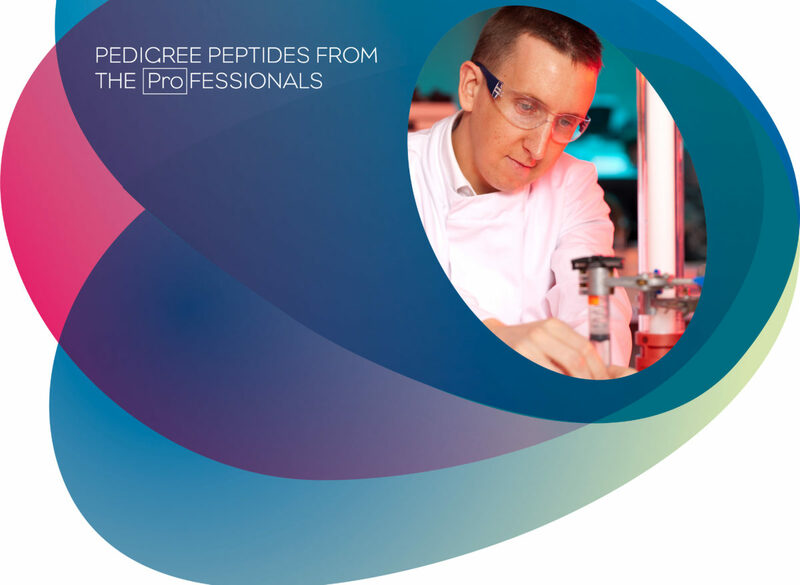 Cell-penetrating peptides (CPPs) or a peptide of choice can be conjugated to a cargo such as Peptide, PMO (Phosphorodiamidate Morpholino Oligonucleotide) or PNA (Peptide Nucleic Acid) to identify the optimum peptide choice for drug carrier and delivery. Peptide Conjugate (Peptide-PMO) Libraries can now be synthesised via SELPEPCON™ (SELection of PEPtide CONjugates) a novel and patentable method for parallel assembly of a large number of peptide-therapeutic cargo combinations recently licenced to Cambridge Research Biochemicals by MRC Technology on behalf of the Medical Research Council – Laboratory for Molecular Biology.